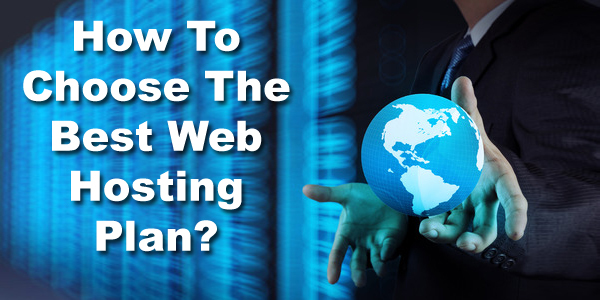 Lets comprehend what is web hosting. It can be defined as the activity or business of providing storage space and access for websites. Before purchasing a hosting plan from company we need to make sure of many things, these are listed below with details. Most of us really care less about the specifications of the web hosting plan we are about to purchase but deliberate more about the price. However the price is also a very important factor in making these decisions but it should not be the first one. Long term results are endeavored through the quality of the web hosting service not through the price. The basic objective of the web hosting is the online space to operate and run our site from a distance. Its important to know the exact amount of space we are being offered. It also depends on the type of hosting plan we are about to select, While choosing shared hosting we get less space but its the most preferred business plan too. Less expensive and good for startups or bloggers. VPS Hosting plan: It is for the sites which need a little extra than the simple shared hosting. You get more space and hardware controls, plesk or cpanel. It is suitable for the fast growing businesses. Dedicated hosting plan: It is the best plan for the websites or businesses with high traffic and require more freedom in operation. This plan is suitable for big business. If a web hosting company is offering you all packages for very cheap price beware that they might be using old, beat out servers which give minimum performance indices. To know more about the server configuration you need to dig deep and ask for it. No one just gives away the information, so prepare a check list and ask for the configuration. Yeah yeah!! I am making a never ending list here, just keep up guys its going to help you. Linux is the cheaper one and mostly popular among businesses. If you have a business which does not require running Microsoft applications, Linux is the right choice for you. Windows hosting is the little less economical option, its costly than Linux server but definitely worth investing if your company has all the business running on the Microsoft applications. It means if you have programs written on the Microsoft's .NET language. It is the parameter with high significance. A site with frequent downtime losses many valuable visitors. Potential customers visiting your site for the first time from the Google search results, will rarely come back to check if your site is up another time. These are few factors that I feel are important in choosing the correct web hosting plan for any business. Give me feedback if you find anything missing and needs to be added. Hostindia.net is One of the best web hosting providers. You can easily get the reviews from sites and then decide to register through it. Feel free to ask queries too, I am happy to help... I'll be back with some brand new and interesting posts as soon as possible.